Alright Pacific Northwest holdouts – we’ve got some news for you. Team Fly Halo is headed back to Oregon for a spring training session you won’t want to miss! Pacific City, OR is one of our favorite places to fly and train – as that’s where we first started teaching pilots to take to the skies, and getting them solo-ready in one of the most scenic coasts in the country. Oregon is typically pretty unpredictable weather-wise, but when it’s good – it’s the best place we’ve ever trained. Spring and Fall historically have the best flying conditions on the Oregon coast. In the summer months, inland temperature warm up excessively causing onshore fog that is an absolute no-go. Springtime has moderate temps, stable wind, and the occasional torrential downpour. But it’s all good – while a typical day of Fly Halo training relies on 5-6 hours of hands-on flying practice, there’s always much-needed time for ground school and gear-maintenance training while it’s too soggy to be on the beach. Old-school TFH training at Cape Kiwanda, OR – back when people thought it was cool to fly without helmets. Hands-on training is done in a variety of different ways including ground-handling, free-flying, slope-soaring, and instructional tandem flights. Oregon has one of the best flight training hills in the country, giving you a well-rounded experience with paraglider handling prior to your first radio-guided solo flight on days 5-6. 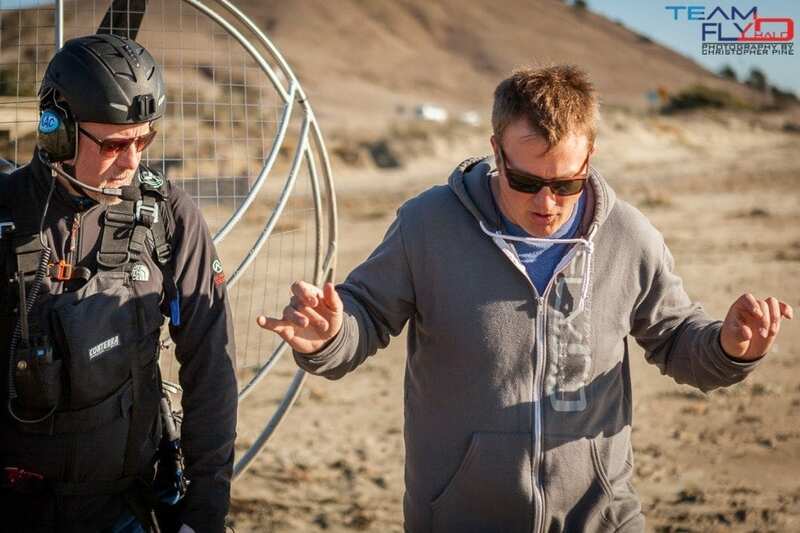 Our goal is to make you so prepared that there isn’t a nervous bone in your body, and absolutely zero surprises on your paramotor flights. Our instructors come from a mix of air sports, general aviation, and military aviation backgrounds to bring you the knowledge you need to stay safe and keep yourself legal. 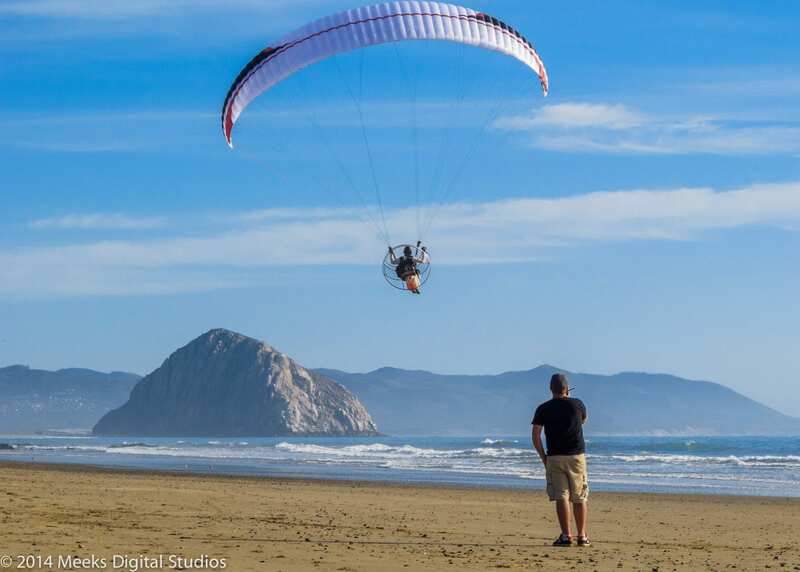 Paramotoring is in that strange category of ultralights that has minimal regulation and requirements to fly – but it doesn’t mean you can just boat around anywhere without a clue. Our program teaches the national airspace system and how it effects us, avoidance of commercial aviation activities, and gives a comprehensive approach of finding and exploring new flying sites. Students will fly into Portland (PDX) on Thursday evening the 20th, where transportation is arranged to the training site. First day of training is Friday morning 9am sharp! You don’t have to worry about lodging – we take care of that piece. We also provide all the training gear and materials you’ll need for the course. 10 consecutive days of training is a great way to immerse yourself in the sport and get a thorough jump start to paramotoring. As always, we aim to provide the best training possible as well as only the highest-quality and safest gear in the industry. Let us be your source! We’ll speak briefly about gear selection before you begin your course. A few days into training we will have assessed your needs, strengths, and weaknesses; and can get you outfitted with the gear that is going to set you up for success. We make it our mission to test everything on the market that’s worth testing, and we only offer equipment that is proven to be exceptional and industry-leading. We also offer package discounts for life to all of our students, but understand that there is no “perfect” motor or wing for everyone. In short, we want to set you up for success – and success means equipping yourself with the best training you can, and the safest gear you can afford that you won’t “grow out of” any time soon. One thing to keep in mind is that what makes a pilot safe and successful for many years to come is the right attitude and mindset. That, and a network of mentors to keep you going long after training. Since choosing an instructor is somewhat of a life-long commitment, we would love to speak to you if you’re interested in our program. So shoot us an email telling us about yourself, and tell us how excited you are to get flying in 2017!